“One of the hardest things to battle when you’re working on the fringe is fatigue,” says Whistler’s artistic director Meg Taintor about the decision to close. 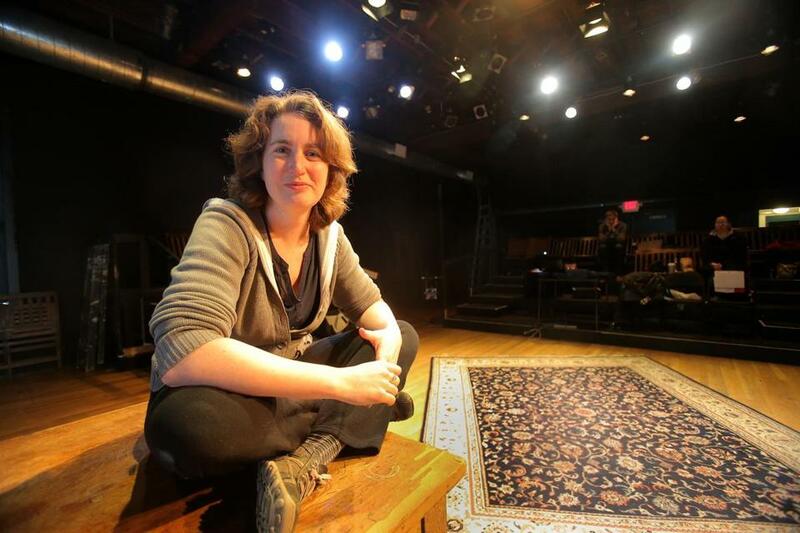 Meg Taintor has long heard people sing the praises of her theater company, Whistler in the Dark Theatre, as a rising star, then a stalwart, of Boston’s fringe scene. But when the company announced in February that it would be disbanding following its production of Caryl Churchill’s “Far Away,” whose final performance is April 19, the outpouring of applause and gratitude — as well as sadness — hit new heights. “If you ever want people to say really nice things about you, announce that you’re closing your company of nine years. I’ve definitely got to recommend it,” says Taintor, Whistler’s artistic director and driving force. Indeed, the loss of Whistler is a blow to the local theater scene. The company has blossomed into one of the city’s most inventive and acclaimed ensembles since its founding in 2005 by Taintor and fellow Middlebury College graduates Ben Fainsten and Amanda Knappman. Over the past decade, Whistler in the Dark produced the kind of experimental, socially engaged, politically charged work that gained a loyal following and often earned glowing reviews. Since announcing the decision to disband in February, following a run of 29 full productions over the course of nine seasons, Taintor has had to face a lot of questions about the company’s demise and the reasons for its closing. The always imaginative Whistler in the Dark Theatre company has chosen this unsettling Caryl Churchill one-act as its swan song. “It has also been an incredibly awkward few months of going to other people’s shows and having them come up to me in the lobby and tilt their heads and say, ‘Oh . . . So what really happened?’ ” she says, with a laugh. No, Whistler is not suffering from internal strife or financial stress, Taintor says. Like most small and fringe theater companies, Whistler operated on a shoestring budget, but it was on sound financial footing. It had a fervent following and a healthy base of subscribers, and its margins were low. While the artists were paid, no one was quitting their day jobs. Instead, the decision to disband was artistically driven. The theater’s core ensemble has gone through several different incarnations, with people moving in and out of the group. As last season came to an close, some wanted to explore their own work outside of the company; some wanted to take a breather from theater in general; others wanted to keep working but explore on a smaller scale. As part of her day job as the student engagement coordinator at ArtsEmerson, Taintor has had the chance to interact with visiting ensemble companies such as the Builders Association and Lucidity Suitcase Intercontinental that aren’t bound to produce a season of shows for a group of subscribers. Who is going to produce the kind of provocative work that the Whistlers have made their specialty? While Taintor and others expect that gap to get filled, the question remains an open one. “There is no other theater company that does shows like them,” says Becca Lewis, who has been a member of the Whistler ensemble since 2011. “I think Meg raised the bar for small theater in Boston. I think she really made people see what is possible in an 85-seat theater,” says Jennifer Johnson, one of the directors of the Charlestown Working Theater, where Whistler is among the resident artists. “The thing that’s going to be missed is access to these great plays” — by writers like Churchill, Barker, Shawn, and Tom Stoppard. Whistler has also been known for its vigorous community outreach and audience engagement initiatives and efforts to cultivate stronger links among the area’s small and fringe companies. 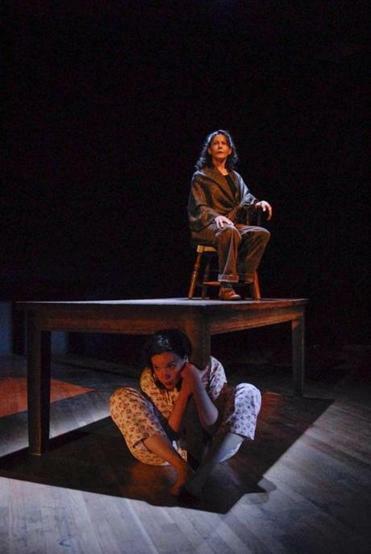 In 2008, Taintor helped to start the Small Theatre Alliance of Boston, whose aim is to foster cooperation and audience development among local companies. “Sometimes a lot of lip service gets paid to the notion of community-building. But Meg and Whistler worked really hard to make that part of their mission,” says Johnson. The fact that Whistler has thrived for nine years, Taintor says, speaks to how eager Boston theatergoers are to see plays that shake up the status quo and question conventional thinking. Whistler will be holding an Irish-style wake on April 27 to celebrate the company. It will be a largely informal event, with food, drink, conversation, and the sharing of memories from the company’s history. There will likely be singing, dancing, and some pop-up performances as well. As the remaining Whistler artists consider their next chapters as theater makers, Taintor will remain a resident artist at the Charlestown Working Theater. She also will enroll in a master’s program in theater education at Emerson College in the fall.